Australians are known for many things, but the pall bearers of extinction is an unlikely image to occur. One hundred years ago, Australians were responsible for causing the extinction of the Thylacine, the largest known carnivorous marsupial of modern times. In 2019, the Western Australian government plans to introduce legislation that permits the slaughter of the dingo, the continent’s top-order predator. 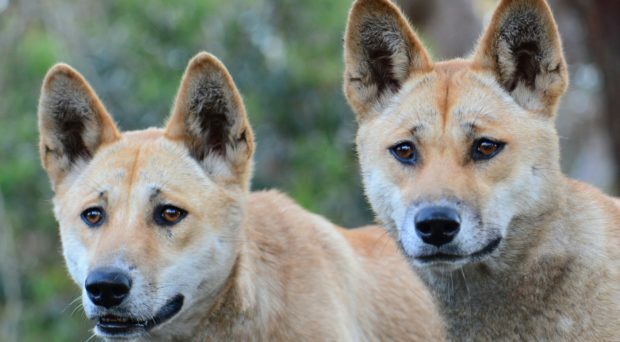 As Western Australia covers about a third of the continent this policy change has the potential to decimate the pure dingo population and increment the number of species that have become extinct in Australia. Was the dingo ever domesticated and now resides as a feralised dog or was it never truly domesticated? In our Frontiers of Zoology Debate article, we ask the simple question, “Was the dingo ever domesticated and now resides as a feralised dog or was it never truly domesticated?” Our goal was to step back from the friction and place the debate into a more scholarly frame. 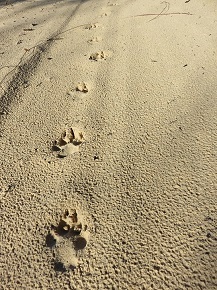 Clarifying the origins of the dingo has important political and cultural implications as post-arrival they transformed indigenous societies across Australia. Further, it has major ecological implications as it impacts our understanding of their ecological role in the extant Australian ecosystem. We start by returning to Charles Darwin (1868: The Variation of Animals and Plants under Domestication). He states that the principles of selection may be conveniently divided into Methodical, Unconscious and Natural selection. Darwin’s term “methodological selection” has since become known as “artificial selection” and it is the means by which the thousands of breeds of domestic animals and plants around the world have been produced and continue to be developed. Taking the lead from Darwin we consider a canid that has been unconsciously selected as a tamed animal and the endpoint of artificial selection as a domesticated animal. From first principles, then, an animal that was tamed and then returns to the wild (we call this untamed) is predicted to be marked by a signature of unconscious selection. In stark contrast, feral animals are hypothesised to be marked by a signature of both unconscious and artificial selection. These simple theoretical predictions then create a template for analyses and experimentation to resolve the debate. Dingoes arrived in Australia between 3500 – 10,000 BP, most probably from South East Asia. It is not yet clear whether these ancestral dingo colonisers were domesticated or tamed, but it is likely that the initial colonising population(s) were small and arrived on a boat. It is unlikely dingoes were domesticated in Australia. The oldest confirmed dates of dingoes in Southern Australia are are between 3348 and 3081 years ago at Madura Cave on the Roe Plain in the Nullarbor region of South-eastern Western Australia. 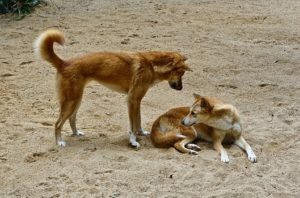 There is no evidence that they have ever inhabited Tasmania, which was separated from Australia by sea level changes approximately 12,000 years ago, strongly suggesting that dingoes did not arrive more than ~15,000 years ago. Pivotal to understanding whether ancestral dingoes were ever domesticated is the construction of a high quality long-read de novo reference genome from a wild animal. In 2017, we were fortunate to win Pacific Biosciences “World’s most Interesting Genome” competition [https://www.youtube.com/watch?v=enBuyj8-KCY] and the annotated ab initio genome of Sandy the pure Desert Dingo is now available online. Sandy and her siblings were found in the Desert at just 4 weeks of age. The challenge is to critically examine the genome for signatures selection and experimentally test whether the dingo was tamed and domesticated and lives as a feralised domesticate. If true, the debate should question whether at least 3500 years of integration into the Australian biota is sufficient to establish it as a keystone taxon. Alternatively, the dingo may have been tamed but not domesticated. In this case, the debate should shift to develop strategies to protect the wild canid and fully establish their ecological roles. In the meantime, while the Western Australian government has had a last minute backdown on delisting the dingo as part of the state’s native fauna, the dingo continues to be classified by this government as a pest, still subject to ‘control’ in agricultural and pastoral areas of Western Australia. It’s a native animal that is deserving of protection – just leave them alone!